Allen Made the Top 50! 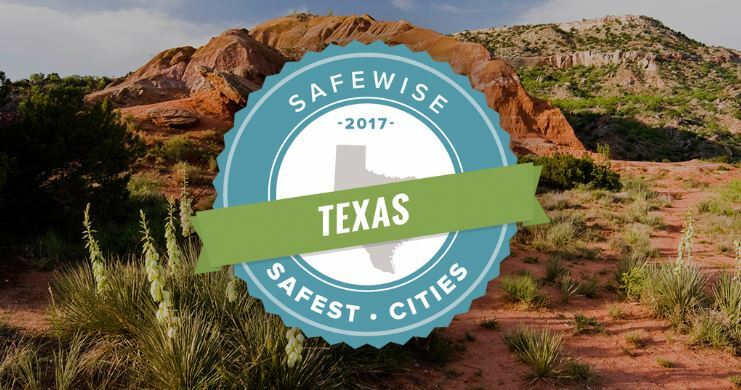 SafeWise, a resource for home security and safety advice, released a report identifying the top 50 safest cities in the state of Texas. Our hometown of Allen, TX is up eight spots from last year to an impressive #16. Frisco, TX also made the list at #44, up two spots from the previous year. The study used FBI crime data and general information about each city (such as population data), and considered both violent and nonviolent crimes to determine the rankings. Phenomenal Job Growth for Next 10 Years Predicted! Safety is just one of the many areas in which Allen and surrounding neighborhoods thrive. The median household income in Allen is nearly double that of the general U.S. household, and the predicted ten-year job growth is expected to be 42.78%, five points above the U.S. prediction. Other studies have shown depressed real estate values in the short term for neighborhoods in which a crime, such as a homicide, occurs. If an incident does occur near your home, the good news is that the acute effect on home value tends not to endure for more than one year. Activity such as media coverage and investigations diminish over time; other features of a community, such as strong education options, continue to make a city an attractive choice. If you live in or near Allen, TX you can feel safe (literally!) knowing that your property values are likely to continue to rise, along with our city’s economic growth. Real estate is a long term investment – one of the healthiest financial decisions you can make over the course of your lifetime – and if you own in our neighborhood, you’re on a great path! Read the full safety report here!